Caught a nice specimen of GT off a boat in Singapore's eastern waters. This lure's hooks was changed to SJ-41's with kevlar for stronger hooks. 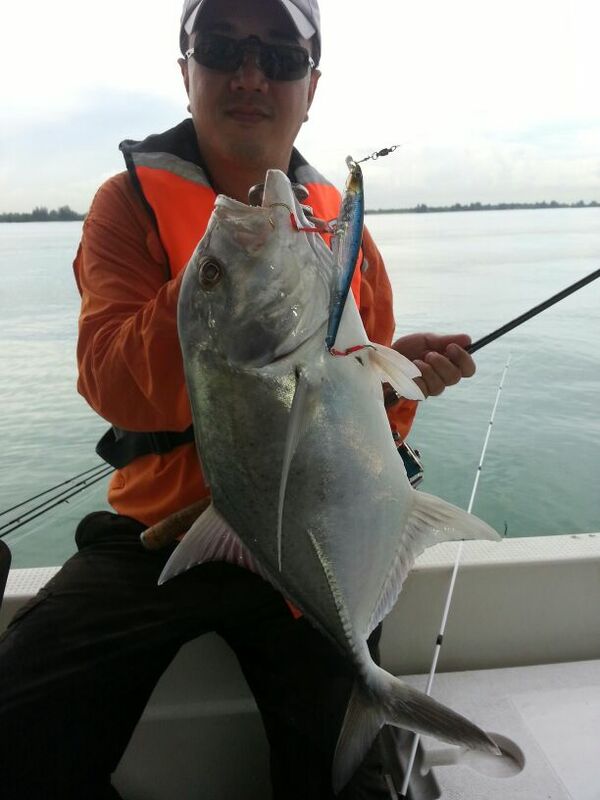 That's a really nice fish Zac08, and GTs are great fighters at any size, also great idea about the hook modification. And yes, lure casting towards a sea wall which acts as a surf breaker. We were initially targeting jacks on small jigs, but they didn't seem to be around. After one of my frens changed to a Ima Sasuke and casted to the rocks and landed his first GT. It got us into action and we changed to the bigger lures and peppered the water and it was a frenzy. We landed a total of 6 GTs in that session.